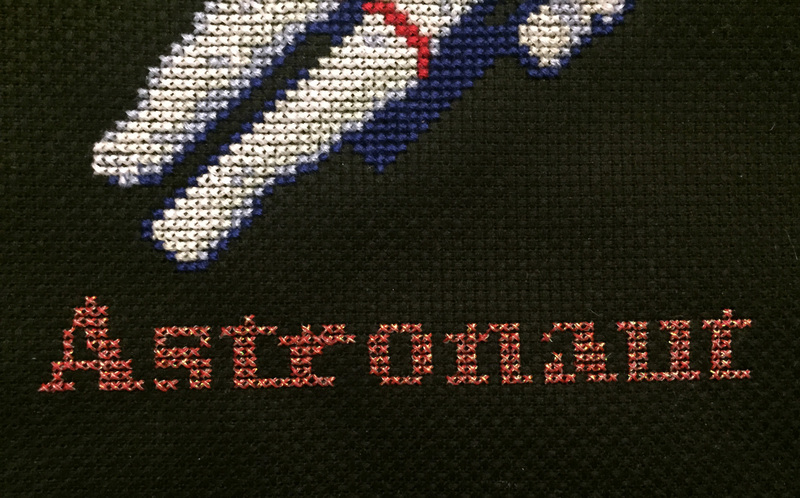 One of my 2015 goals is to finish some WIPs. I left it kind of open ended with no specific number, but when I went and made a list I realized just how many projects I have going on. I counted 15, but I’m sure there are a few others that I’m forgetting about. I set the loose goal of finishing one WIP a month, which I think is definitely realistic. 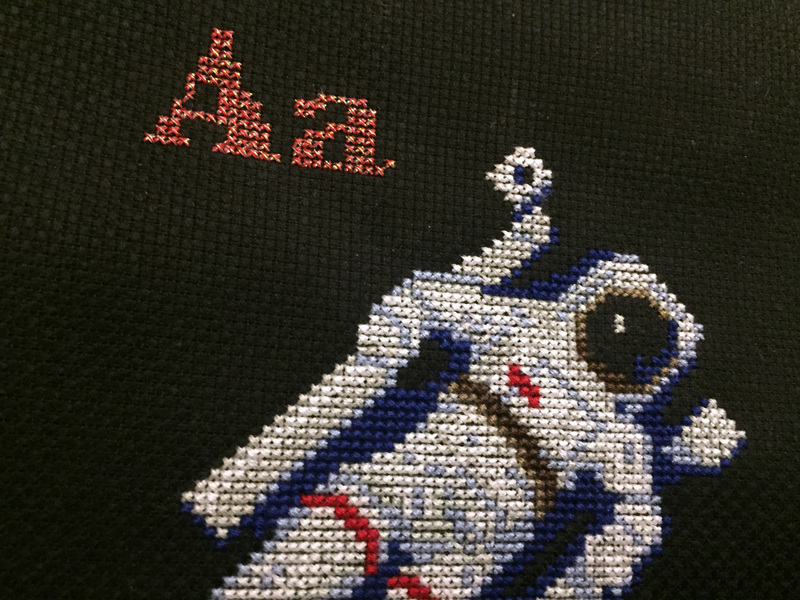 I’ve already finished my first project of the year and I feel really silly that it was cast aside for so long. 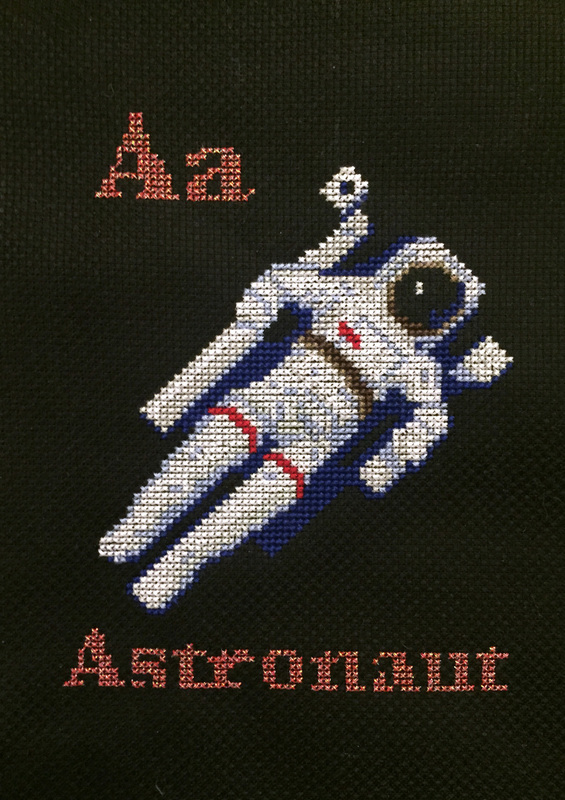 The last time I blogged about the Astronaut cross stitch flash card was in February of last year, so it’s been sitting for almost an entire year. Once I picked it back up it only took me a few hours to finish it, I really didn’t have much left on it.